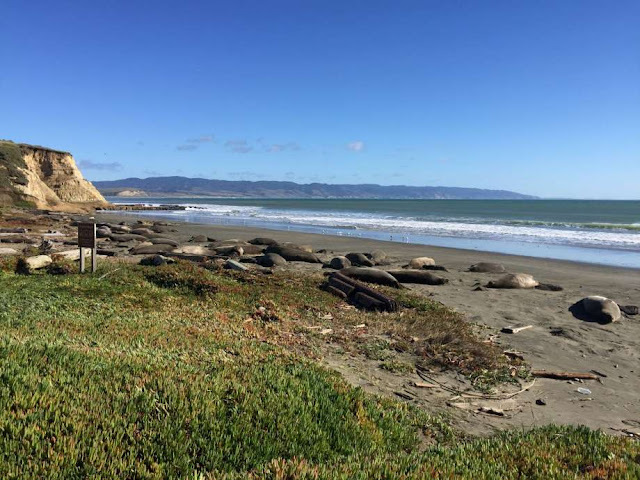 The park is home to a colony of about 1,500 elephant seals. In the past, a seal or two has popped up on the wide Drakes Beach that's popular with visitors, and now 50 to 60 adults who've birthed 35 pups have hunkered down. When the government shuts down, vagrant seals take over. We need to shut the government down more often.